DETAILS DEB FRISCH BIRTHDAY MADNESS!! 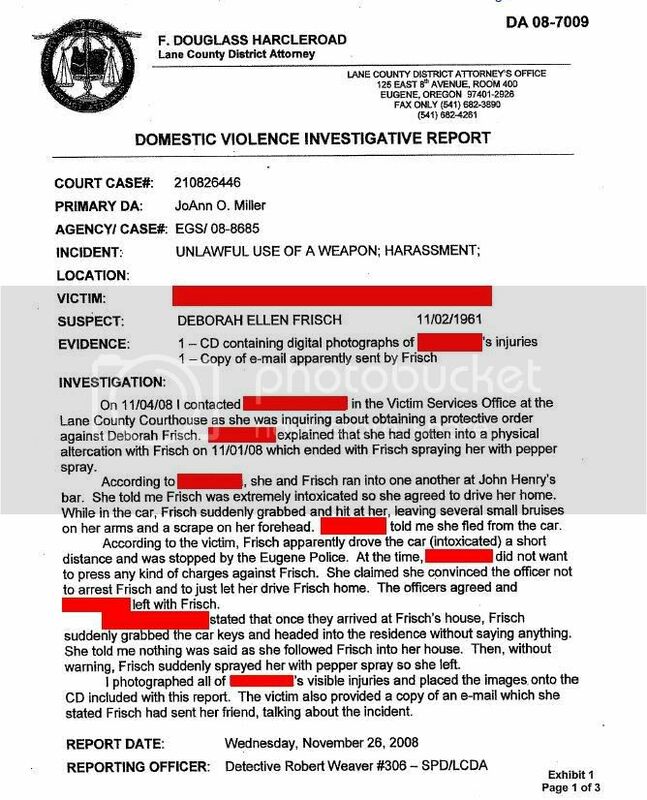 FRISCH WAS "EXTREMELY INTOXICATED...DROVE INTOXICATED"
--a motion, in short, to pwn Miss Debbie's frivolous lolsuit. illegal use of pepper spray. Next thing you know, she'll be trying to extort/blackmail money from me, again.